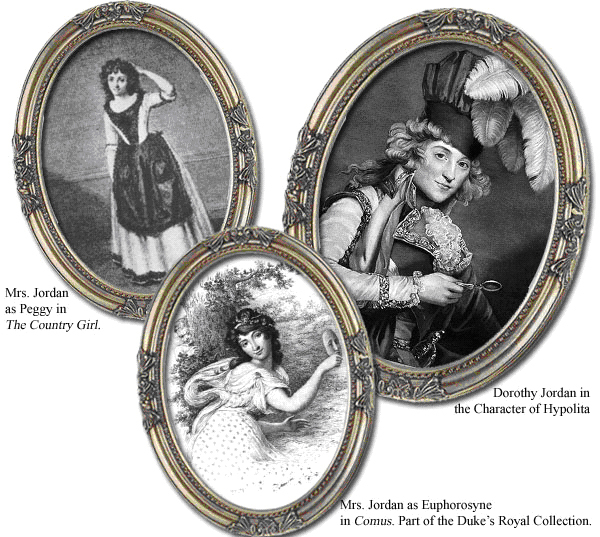 Born to an impoverished stagehand and his actress mistress near Waterford, Ireland, on 21st November 1761, Dorothea (sometimes Dorothy or Dora) Bland was to become one of the greatest and most celebrated actresses of her day. When her father abandoned the family in 1774, Dora was forced to go to work to help support her mother and four siblings. At the age of 13 she found work with the Theatre Royal in Cork where the already married company manager, Richard Daly, spotted her potential, both on and off the stage! Having no interest in him, Dora was resistant to both his advances and threats of arrest for non-payment of money loaned to her. Eventually losing patience, Daly abducted Dora, resulting in the birth of a daughter, Frances, in Dublin in 1782. To escape debt and Daly, Dora and her mother fled to England with Frances, where Dora assumed the style of a widow and adopted the name Mrs Jordan; the name by which her adoring public and history would forever to come to know her. After time spent with a theatre company in Leeds, several serious love affairs and the birth of three more children (one of whom died in infancy) to a police magistrate and lawyer, Dora arrived in London. 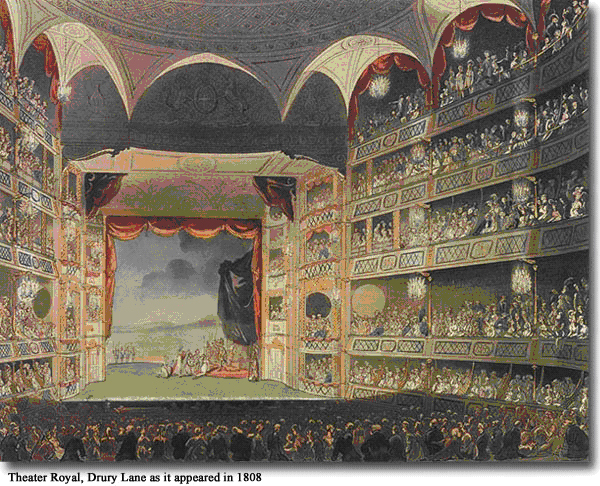 In 1786 she made her first Theatre Royal, Drury Lane appearance in "A Country Girl", after which she established herself as a firm favourite with the theatre's patrons, most particularly for her comedy and 'breeches' roles. Her relationship with the Theatre Royal was to last until its destruction by fire in 1809, after which, she regularly appeared at both the Haymarket and the new Covent Garden theatres while continuing her tours of the major towns and cities across the country. Dora's beauty, wit and intelligence earned her many male admirers. In 1791 she became mistress to the most illustrious of these, William, Duke of Clarence, the future King William IV. Throughout the 20 years of their relationship, Dora bore the Duke 10 children, acted as his consort and continued her acting career. This as much to support the children and William in the style he demanded as because of her love of the stage. The affair ended in 1811, with the Duke effectively abandoning Dora and his family in favour of a wealthy heiress, who rejected him and because of the growing need to produce a legitimate heir. Dora was given a financial settlement of £4400 per year and custody of their daughters on condition she abandoned her career on the stage. She was forced to break this condition in 1814, when faced with heavy debts incurred in her name by her son-in-law. The Duke took custody of the daughters and stopped paying the agreed maintenance allowance. In 1816 with her career failing and debts mounting, she fled to France where she was to die lonely and impoverished in St Cloud, near Paris, her final resting place.